I like to think that I’m more of a hobby gamer than a tournament gamer. Yes I enjoy building a tournament list and trying to do well with it but I’d rather be working towards a fluffy hobby target than a filthy tournament list. So when I read the rules pack for After the Storm I knew it was an event I had to go to. And then I realised it allowed you to take a Slayer army! So with 3 months until the event the only logical thing for me to do was to buy, build and paint a complete 2400 point slayer army. Well not a complete army. This is what I had to begin with. Almost but not quite a unit of 30 from when I painted up a Dwarf army in a week earlier on this year. 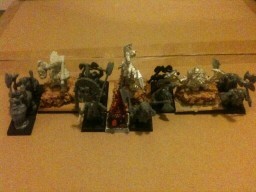 So from this it’s been a case of painting up the ones I’ve already assembled and building up the rest of the army. I’m going with the Avatar of War plastic Slayers. They’re gorgeous models and an absolute steal at only £20.50 for twenty from Element Games. 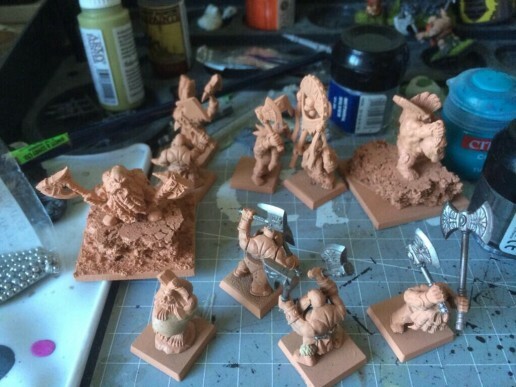 Paint wise I’m trying out the Army Painter spray paint range using their Barbarian Flesh to basecoat the models. I’m going for a quick paint job similar to my other dwarfs. A basecoat followed by a wash with Army Painter Dark Tone and then a quick drybrush on the flesh and steel. I think you’ll agree the results are amazing for the effort. I’ll be posting updates as I go on here. So let me know what you think of these guys. 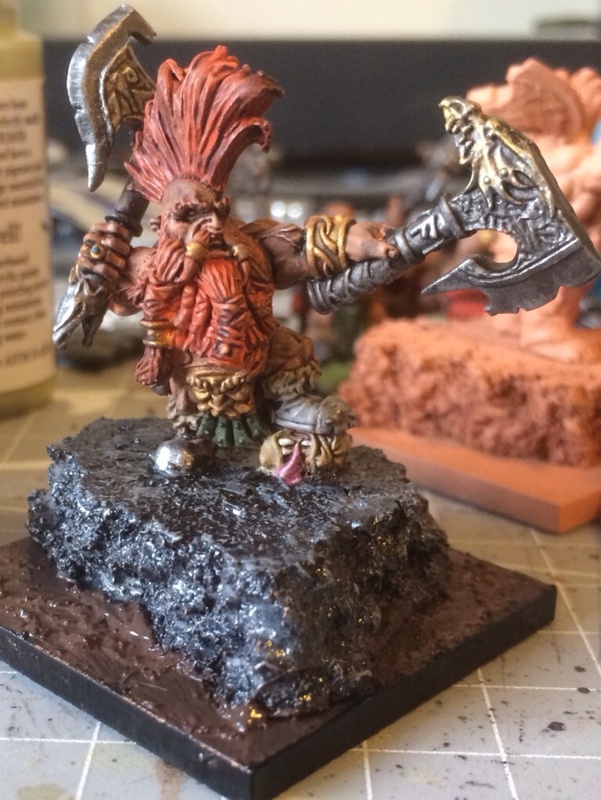 This entry was posted in Army Blogs, Dwarfs, Painting to Improve, Warhammer Fantasy. Bookmark the permalink.